When it comes to giant French novels, a distinction should be drawn between those immense enough to crush you into paste if they fell on you out of a tree, and those big enough merely to seriously injure you. 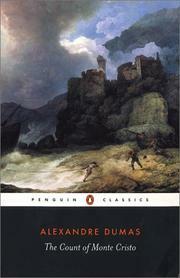 Clocking in at just under 900 pages in my Wordsworth Classics edition, Alexandre Dumas’s classic revenge thriller The Count of Monte Cristo is a good 200 pages shorter than our Penguin Les Miserables. While both books share a fascination with romanticism and revolution in 1800s Paris, and while I read both of them during my mid teens, there was one important difference between the books which recently prompted me to re-read the Count but outsource Les Mis to a friend. This important difference is simply the fact that, while Hugo takes you on scenic tours of Paris nunneries and underground sewers to distract from the fact that his plot could have been dealt with in half the time, Dumas flings you into a driving, multi-strand plot that never derails or slows down. I remember staying up very late to finish it the first time I read it, and found it just as briskly enjoyable this time round. The plot is very simple. At nineteen, the likeable and good-natured Marseilles sailor Edmond Dantes is about to marry his fiancée Mercedes and become captain of the ship Pharaon. Then his enemies—Danglars, a shipmate who covets the captaincy, Fernand, a fisherman who covets the fiancée, and Caderousse, a tailor, their weak and avaricious crony—denounce him to the local prosecutor, M de Villefort, as a Bonapartist. 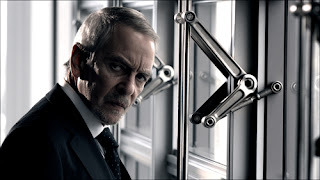 The real Bonapartist is M Nortier, the prosecutor’s revolutionary father; so to save his reputation and career, M de Villefort has Edmond buried in the deepest dungeon of the Chateau D’If. In the Chateau D’If, Dantes meets and becomes the student of the learned Abbe Faria, whose tales of a fabulous treasure buried on the desolate island of Monte Cristo convince everyone that he must be mad. Fourteen years later, Dantes escapes to find that his aged father starved to death and his fiancée married Fernand in his absence. Meanwhile Villefort, Danglars, and Fernand have shot to fame, power, and fortune. Dantes lays his plans meticulously: then, at last, armed with boundless wealth, devoted servants, and the knowledge of his enemies’ darkest secrets, the Count of Monte Cristo comes to Paris to wreak vengeance. When her stage-play-turned-novel The Scarlet Pimpernel became a runaway bestseller, Baroness Orczy did what any bestselling author worth her salt does: she wrote a sequel, and then went on merrily writing them until she was quite exhausted. The result, as usual, was a little uneven and fans of The Scarlet Pimpernel--the kind of short, light, tight novel that comes out of a good melodramatic short story--are divided on which ones are worth reading and which are not. Eldorado, however, is often ranked first among these sequels. My only criticism of The Scarlet Pimpernel is that it is too short. Eldorado is a good deal more substantial both in length and in themes, although it lacks the tightly-woven plot of the original. Just a few months after the events of The Scarlet Pimpernel, the League gathers in Paris to plot their most daring enterprise yet: the rescue of the Dauphin, the young son of the guillotined Louis XVI and Marie-Antoinette. This time, impulsive young Armand St Just--the brother-in-law of the Pimpernel himself--has asked for and received his first assignment in Paris, headquarters of the Revolution itself, where he is still in danger for his association with the Scarlet Pimpernel. As plots and counter-plots swirl around the young Dauphin, Armand is sucked into danger when he loses his heart to a young actress and meets the Scarlet Pimpernel's implacable enemy--Chauvelin, who gleefully presents him with a sadistic choice: betray his beloved leader to a lingering death by torture, or watch his fiancee perish on the guillotine. How will the Scarlet Pimpernel escape this time? Already a year and a half ago the excesses of the party had horrified him, and that was long before they had degenerated into the sickening orgies which were culminating to-day in wholesale massacres and bloody hecatombs of innocent victims. The plot kicks up a gear, however, in Parts II and III, where the narrative focus shifts to our old friend Marguerite, the melodrama ticks up a notch or two, and we realise just where Armand's foolishness has led him. There were a couple of interesting things to note about this book. The way Orczy speaks about the guillotined Louis and Marie-Antoinette is oddly messianical--"their last ignominious Calvary" she says of their deaths, and they, the Dauphin, and the Scarlet Pimpernel are all variously described in her purple prose as "martyrs". These quasi-religious references are unusual, even for the period in which she was writing. Are the Scarlet Pimpernel books a hagiography for the ancien regime? To be certain, I think Louis XVI and Marie-Antoinette were probably sincere Christians, and the influences of Christendom on the ancien regime were part of what the Revolution sought to destroy, but can they be said to have died for their faith? Whether they can or not, is it because of their faith that Orczy calls them martyrs, or because they represent a shabby substitute faith in blue blood and titles? "In the name of God, Sir Percy," he said roughly, as he brought his clenched fist crashing down upon the table, "this situation is intolerable. Bring it to an end to-night!" "Why, sir?" retorted Blakeney, "methought you and your kind did not believe in God." "No. But you English do." "We do. But we do not care to hear His name on your lips." Another interesting thing about Eldorado is the relationship of Sir Percy and Marguerite Blakeney. I mention this because in most melodramatically emotional vintage novels, romantic love is the most important thing in the world--and even the quote above ends in Sir Percy getting more annoyed about Chauvelin bringing Marguerite into the conversation than the name of God. And yet, if there's one theme that ties this book together, it's that some things are more important than romantic love. Armand's predicament stems from his inability to learn this. Percy dreams of being at home with Marguerite, and she wishes her husband didn't spend most of his time risking his life in France instead of safely at home. But both of them realise that their own happiness is not this important. In the end I enjoyed Eldorado a lot more than I expected to, despite Orczy's hilariously overwrought prose. 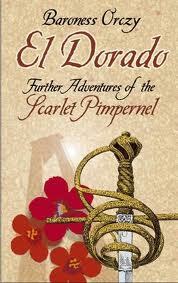 If you are fond of The Scarlet Pimpernel, I recommend reading this one. Eldorado has not to my knowledge been filmed itself, but elements of the plot are generally used in adaptations of the original book. I've seen the 1982 Scarlet Pimpernel with Anthony Andrews, Jane Seymour, and Ian McKellan, a fun adaptation of both novels. I remember when I was a very little girl I intended to be an artist when I grew up. One day my Dad went to a friend's art exhibition and when he came back I asked him all about it. He mentioned that the paintings had been made with no view to their commercial viability. This surprised me, because profit was the last thing I associated with Art. "Should they care about that?" I asked. And Dad said, very seriously, "Suzannah, many artists insist on making art for art's sake, but when you grow up, you need to realise that it's very important to produce a beautiful work of art, and then sell it for as much as you can get for it." At the time I didn't understand all the philosophical ramifications to this question and its answer. All this time later, I can only say that Dad gave me the right advice. Commercial viability is an indispensable aspect of Christian art. In saying this I don't mean that art must be limited to the utilitarian. Rather I mean that it must be produced in response to demand. I mean this in two ways. First, truly great art must exist at the intersection of aesthetic genius with popular appeal: it must be comprehensible and enjoyable by the common man; it must be common knowledge, alethia, rather than hidden knowledge, gnosis (Philippians 4:8). Christian culture has tended to delight in the beauty of the commonplace, as in the art of Rembrandt and Vermeer, or in the beauty of the things everyone can understand and admire, like the music of Bach or the heroic tales of Tolkien. This does not, of course, exclude profundity or a shared cultural lexicon which outsiders might find difficult to understand. It does not exclude staircases into glorious upper stories of thought. But the door into the structure must be very low and humble. One does not need a university education in order to realise that Chartres Cathedral is staggeringly beautiful--indeed, one had better not get a university education if he wishes to go on thinking that Chartres is beautiful. But a lifetime's study could hardly exhaust it. Second, art must be commercially valuable because if it is worth spending lots of time on, then the artist has both the right (1 Timothy 5:18) and the duty (v 8) to realise its commercial value to support himself and his family. The Christian artist is a craftsman, a workman, not the brooding, lonely ubermensch of the Romantic imagination. The Christian artist is a businessman, and usually an anonymous one. Bach only became a celebrity centuries after a life spent cranking out cantatas to support his large family. His disciplined approach to his art mirrored that of the craftsman of medieval times, whose gigantic genius peeps out from the pages of illuminated manuscripts, glows from stained-glass windows, and writhes in carven wood, always giving the glory to God rather than self. By contrast the modern artist is too often a celebrity who works when inspiration strikes, often heavily subsidised by government, to produce incomprehensible works. Something's going on at Kia! I believe that when the dust of history settles, the greatest art of the current age will turn out to have been the commercial art. John Williams, for example, has a solid claim to being the greatest composer of our time. Artists like Drew Struzan may be remembered when others are not. TV commercials like this, which must sell you a Kia Cerato in a matter of seconds and still be worth watching the twentieth time, are a surprisingly underappreciated artform. Perhaps the epitome of contemporary commercial art, so far, is BMW's "The Hire" series. 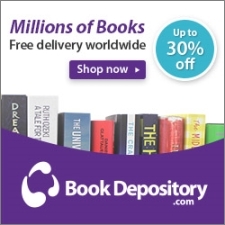 Which is a long way of bringing us to the point of this post, which is that Vintage Novels will now be providing affiliate links to the Book Depository, my favourite place to buy new books, to Audible, a major audiobook provider, and to one or two others if my applications go through. Reviewing books may not be much of an Art, but in keeping with family tradition and religious principle, I will be trying to get some money out of it. Purchases made within the relevant time of clicking on one of the affiliate links at Vintage Novels will earn me a small commission. These links will be available up on the sidebar, and also at the bottom of each post, together with shiny new buttons for Project Gutenberg and Librivox, referring you to which has never earned me money and never will. My only regret is the annoying white border around the buttons, which I hope my tech man can fix. In two and a half years of reviewing books for Vintage Novels, I've never reviewed an RM Ballantyne book. The time has come to repair this shortcoming! Last summer I had the opportunity to read an RM Ballantyne book I'd never read before--Hunted and Harried. But when young Wallace is finally forced to attack a fellow dragoon to defend a young girl they meet on the road, he knows that under the King's law his life is forfeit for aiding a Covenanter. Throwing in his lot with local patriarch Andrew Black, Wallace joins the Covenanter cause, is hunted across Scotland by his old comrades-at-arms, and even sees action at Bothwell Bridge and endures the ghastly imprisonment in the Greyfriars Kirkyard. This book is a slice-of-history book with a lot of similarities to GA Henty novels. Ballantyne writes a corking yarn, full of battles and narrow escapes. While the story of the original characters and their adventures is fast-paced enough to keep your attention, it's the history which stays with you. Happily for the well-being of future generations, our covenanting forefathers stood their ground with Christian heroism, for both civil and religious liberty were involved in the struggle. Their so-called fanaticism consisted in a refusal to give up the worship of God after the manner dictated by conscience and practised by their forefathers; in declining to attend the ministry of the ignorant, and too often vicious, curates forced upon them; and in refusing to take the oath of allegiance just referred to by Will Wallace. Conventicles, as they were called—or the gathering together of Christians in houses and barns, or on the hillsides, to worship God—were illegally pronounced illegal by the King and Council; and disobedience to the tyrannous law was punished with imprisonment, torture, confiscation of property, and death. To enforce these penalties the greater part of Scotland—especially the south and west—was overrun by troops, and treated as if it were a conquered country. The people—holding that in some matters it is incumbent to “obey God rather than man,” and that they were bound “not to forsake the assembling of themselves together”—resolved to set the intolerable law at defiance, and went armed to the hill-meetings. They took up arms at first, however, chiefly, if not solely, to protect themselves from a licentious soldiery, who went about devastating the land, not scrupling to rob and insult helpless women and children, and to shed innocent blood. Our Scottish forefathers, believing—in common with the lower animals and lowest savages—that it was a duty to defend their females and little ones, naturally availed themselves of the best means of doing so. There have been several Covenants in Scotland, the most important historically being the National Covenant of 1638, and the Solemn League and Covenant of 1643. It was to these that Quentin referred, and to these that he and the great majority of the Scottish people clung with intense, almost superstitious veneration; and well they might, for these Covenants—which some enthusiasts had signed with their blood—contained nearly all the principles which lend stability and dignity to a people—such as a determination to loyally stand by and “defend the King,” and “the liberties and laws of the kingdom,” to have before the eyes “the glory of God, the advancement of the kingdom of our Lord and Saviour Jesus Christ, the honour and happiness of the King and his posterity, as well as the safety and peace of the people; to preserve the rights and privileges of Parliament, so that arbitrary and unlimited power should never be suffered to fall into the hands of rulers, and to vindicate and maintain the liberties of the subjects in all these things which concern their consciences, persons, and estates.” In short, it was a testimony for constitutional government in opposition to absolutism. Ballantyne spares us no details in his depiction of the wrongs suffered during this period, and his indignation comes through clearly on the page. An old man shot at the door of his house; a description of the instruments and techniques of torture used on the dissenters, including one of our main characters; the execution by drowning of another character's fiancee (the fiancee was a real person, although I don't think the character was); and above all the unbelievable aftermath of the Battle of Bothwell Bridge, when hundreds of prisoners were kept in the Greyfriars Kirkyard for months without shelter. A number of reviewers suggest not providing this book to young children for this reason. But although that might be a good idea, I would like to say that I think this book is very important reading for anyone convinced of the justice of the old Covenanting cause. It happened to them; it will happen to us, sooner or later. Hunted and Harried was, and I apologise for the alliteration, one of the most harrowing books I've read in a while. I expected adventure and history; I did not expect to care about it so deeply. Highly recommended. Well, here we are with a rather more extensive blog redesign than I originally planned, but I must say I couldn’t be happier with the outcome. 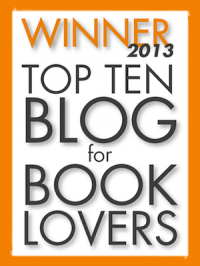 There are still more changes in store for Vintage Novels, but most likely the look will remain the same—I hope! 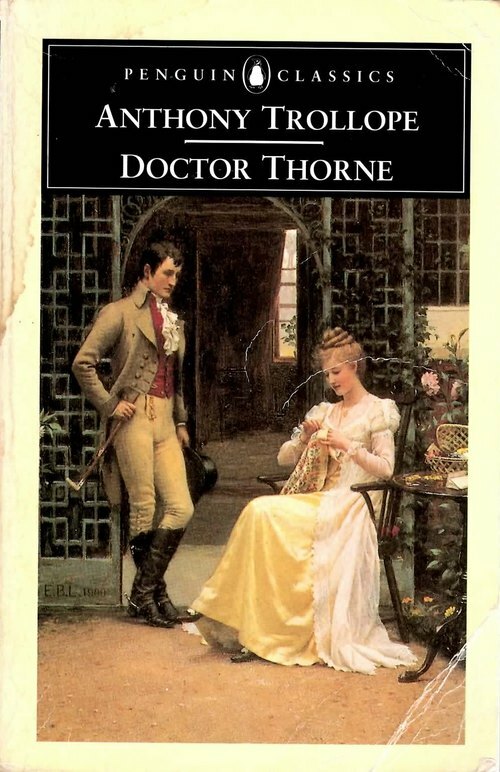 Today I bring you another review sponsored by the lovely Mrs Margaret, who was so keen for me to continue reading Trollope (I had in the last twelve months collected all the Barchester Chronicles except Doctor Thorne, the next one I had to read!) that she very generously bought this one for me. 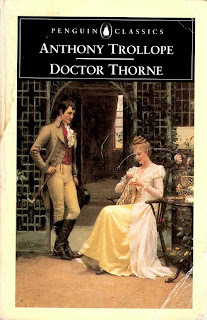 Doctor Thorne is the third book in a series of novels set in and around the fictional cathedral city of Barchester Towers. But it’s the first book not following the fortunes of the Barchester precentor, Mr Harding, and his family. He would have been the hero of our tale had not that place been pre-occupied by the village doctor. As it is, those who please may so regard him. It is he who is to be our favourite young man, to do the love scenes, to have his trials and his difficulties, and to win through them or not, as the case may be. I am too old now to be a hard-hearted author, and so it is probable that he may not die of a broken heart. Mary Thorne is our heroine, “a point on which no choice whatsoever is left to any one.” As Frank Gresham comes of age, his aristocratic mother Lady Arabella Gresham and her even more snobbish sister-in-law, the Countess De Courcy, decide that certain truths are self-evident; and foremost among these, “Frank must marry money,” his father Squire Gresham having been well-nigh bankrupted by Lady Arabella’s aristocratic standard of living. But Frank is already in love, with the penniless and illegitimate Mary Thorne. As Lady Arabella does her best to paint Mary as a sly and conniving social climber in her effort to disrupt the love affair, Doctor Thorne finds himself compelled to keep the secret that Mary is about to inherit a fortune from the man who now owns half of Squire Gresham’s property. Doctor Thorne is a wonderful book, full of all the fun I’ve come to expect from Trollope. There are the three-dimensional, complex characters, the lovable good people, the despicable bad people, and the gurglesomely chatty authorial asides. There were a few flaws, more noticeable in this book. Frank Gresham, although he improved over the course of the novel, retained his character flaw of flirting with girls not named Mary Thorne to the end. Trollope’s view on saying grace before meals is also one I can’t agree with. But otherwise, I loved the book. Mr Oriel was a man of family and fortune, who, having gone to Oxford with the usual views of such men, had become inoculated there with very High-Church principles, and had gone into orders influenced by a feeling of enthusiastic love for the priesthood. […] He delighted in lecterns and credence-tables, in services at dark hours of winter mornings when no one would attend, in high waistcoats and narrow white neckties, in chanted services and intoned prayers, and in all the paraphernalia of Anglican formalities which have given such offence to those of our brethren who live in daily fear of the scarlet lady. It’s fascinating to pick up these little references to that interesting movement in Trollope’s series, and it’s a thread I’ll be following in the rest of the Chronicles as well. His manners are quite excellent, his conduct to mamma is charming, and, as regards myself, I must say that there has been nothing in his behaviour of which even you could complain. […] He came to me yesterday just before dinner, in the little drawing-room, and told me, in the most delicate manner, in words that even you could not have but approved, that his highest ambition was to be thought worthy of my regard, and that he felt for me the warmest love, and the most profound admiration, and the deepest respect. You may say, Amelia, that he is only an attorney, and I believe that he is an attorney; but I am sure you would have esteemed him had you heard the very delicate way in which he expressed his sentiments. Trollope’s sense of humour is just wonderful, and on full display here: subtle, satirical, but warm-hearted. A quick look around convinces me that Doctor Thorne is often read through today’s Marxist lenses, and elicits a gamut of responses running from militant proletariat disgust with the rampant snobbishness of the cast and the Thornes’ capitulation to classist oppression, to enthusiastically misguided approval of that spirited Mary Thorne’s triumph over the bourgeoisie. [H]er ladyship was amusing herself by pulling down and turning, and re-folding, and putting up again, a heap of household linen which was kept in a huge press for the express purpose of supplying her with occupation. 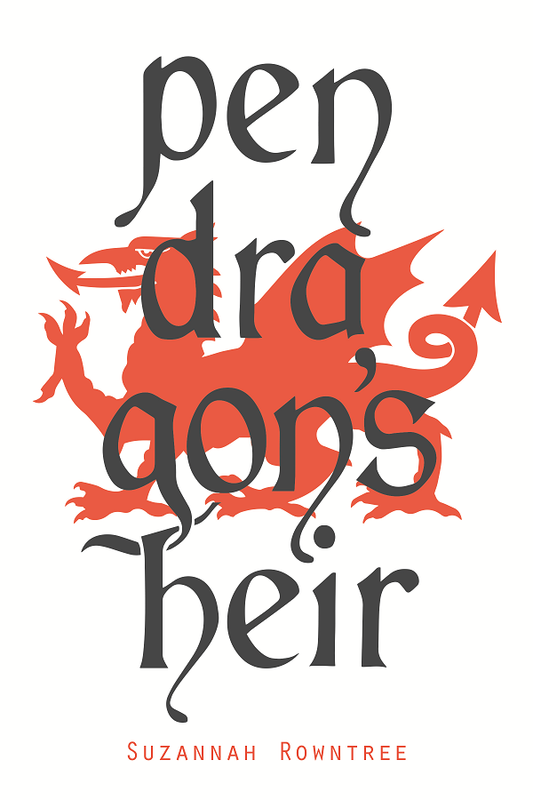 Her husband Sir Roger Scatcherd is in an even worse case, if possible: he can no longer associate with his old friends, but he’s no fit companion for his social peers, either. He and his family are fish hopelessly out of water, and Trollope’s unspoken conclusion is that although Sir Roger might have been poorer as a stone-mason, he would certainly have been happier. If he would not marry money, he might, at any rate, be an attaché at an embassy. A profession—hard work, as a doctor, or as an engineer—would, according to her ideas, degrade him; cause him to sink below his proper position; but to dangle at a foreign court, to make small talk at the evening parties of a lady ambassadress, and occasionally, perhaps, to write demi-official notes containing demi-official tittle-tattle; this would be in proper accordance with the high honour of a Gresham of Greshamsbury. Frank, on the other hand, is quite willing to farm, if that is necessary. With its wit, charm, and trenchant criticism of some regnant upper-class hypocrisies, Doctor Thorne is lots of fun. I enjoyed it thoroughly, and look forward to reading the rest of the series in time.